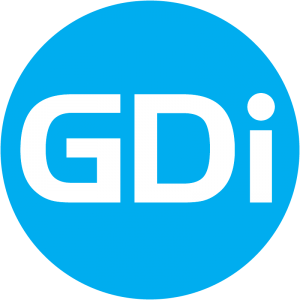 GDi ENSEMBLE is the value added services platform which provides unique combination of service oriented capabilities provided to GDi ENSEMBLE value added applications and 3PP services. GDi ENSEMBLE provides single sing on, authorization and user management, mapping, messaging, reverse geocoding, routing, ticketing and many other capabilities which greatly reduce time to market and enable fast go-to-market business models. Cloud services are the rapidly growing and evolving method of delivering various applications from anywhere to any customer and on any device. Cloud computing spans from technology to business and changes how technology delivers benefits to individuals, industries and governments. The need to master core business and give others ways to use products of that business to build their own businesses is a historical necessity which has evolved for decades and which drives the rapid development of our society. The GDi ENSEMBLE platform has been built exactly on that paradigm which allows telecom operators to focus on their core business and in the same time provide the value chain which drives the telecom operators’ new types of revenue. For example, the m2m market segment is growing and opening the whole new world of new customers such as machines, devices, sensors and other equipment which solves individual and business problems. The people, pets, vehicle and vessel tracking devices, time tracking devices, video surveillance systems and many other types of m2m applications will drive ARPU as long as telecom operators build such an value chain where focused and core business driven companies provide their products and services on top of operators core business including communication infrastructure, strong marketing and customer services, sales organization and trade marketing and billing capabilities. © 2017 GDi DOOEL Skopje, All rights reserved.